These presentation slides 29787 are complete compatible with Google Slides. Simple download PPTX and open the template in Google Slides. 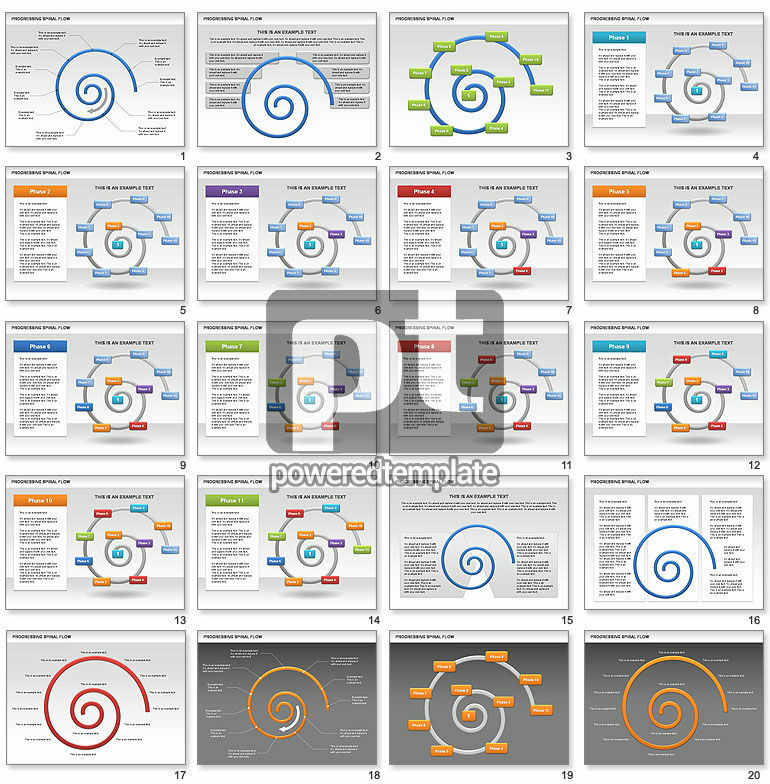 Spiral flow chart will be ideal for presentations on product development, design, prototyping, stages, risk analysis, planning, engineering, evaluation, alternate solutions, testing, etc.